I always think of Halloween as a joyous time of year when children and adults dress in the most scary and outlandish costumes in order to walk the streets with their parents and carrying a carved pumpkin, ‘trick or treating’, or going to Halloween parties. It is good to know that the custom is also followed in our corner of France. The last day of October is the date to look forward to. 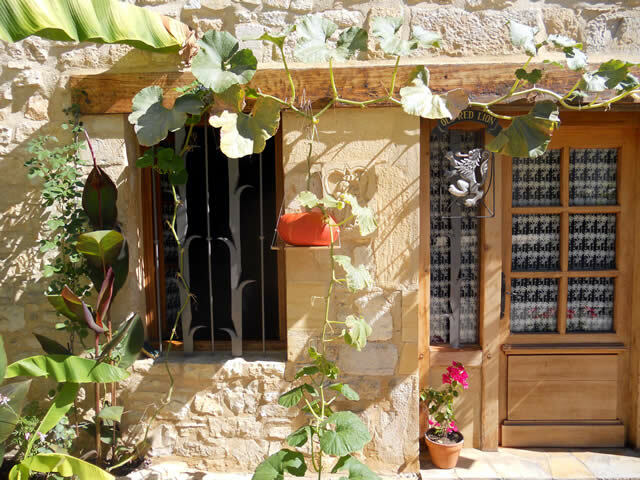 Pumpkins growing outside of one of the gorgeous homes in Daglan. In France they have an ‘All Saints Day’ (La Toussaint) on the 1st November, which is an annual national public holiday and post offices, banks, stores and other businesses are closed. You will find the cemetery’s of towns and villages crowded with people as families pay their respects (with chrysanthemums) to loved ones who have passed away. 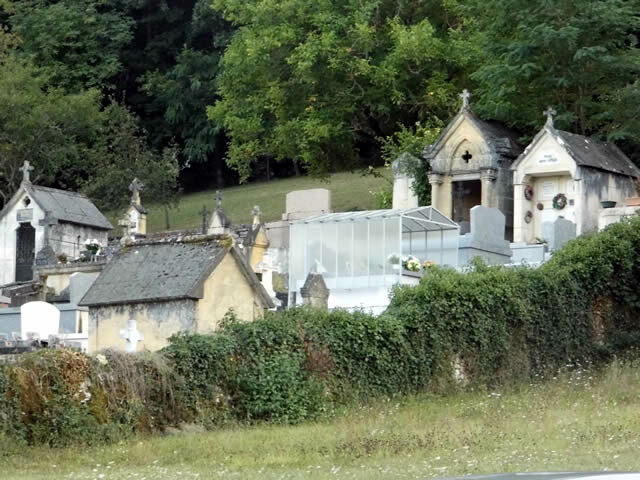 In this photograph you can see a typical cemetery with family tombs, often ornate and exquisitely carved with many decorations. Some of the tombs and gravestones have a picture of the deceased and a poem or symbol of their carreer or interests they once had. I find cemetery’s fascinating, you learn a real social history from them. A word of warning. 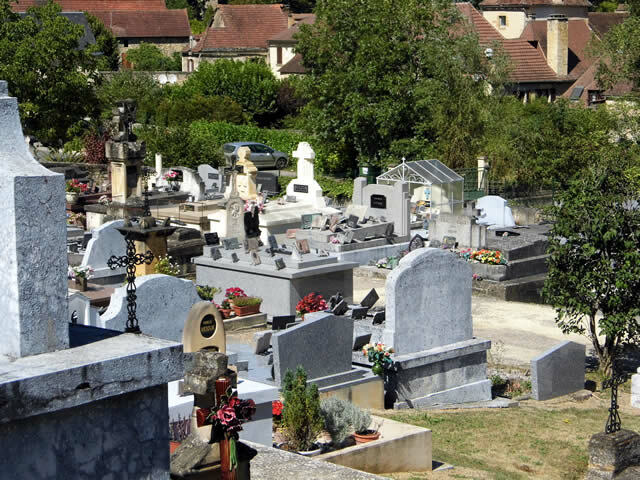 Chrysanthemums in France are placed onto gravestones they are flowers for the dead, funerals and grief. So do not take them as a gift to a friends house when you are invited for dinner, this is a very big faux pas. Carnations express ‘bad will’ to the person: and roses are reserved only for the one that you love. In fact flowers are not really a good idea at all, local customs differ from region to region, even village to village and it is so easy to get it wrong. Nothing to do with Halloween but here’s a couple of photos to make you smile. 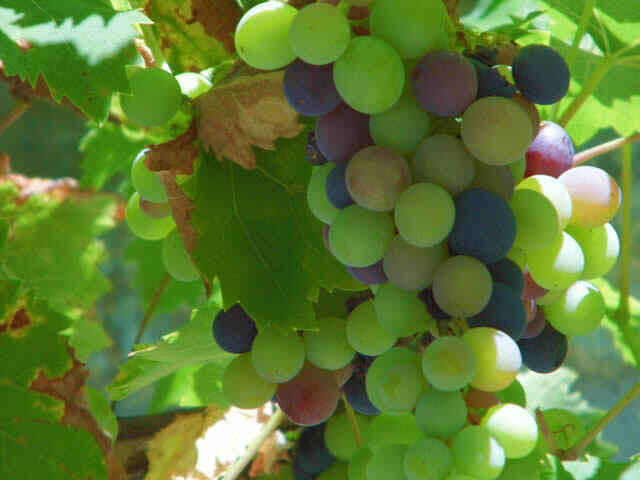 I could just eat these grapes. 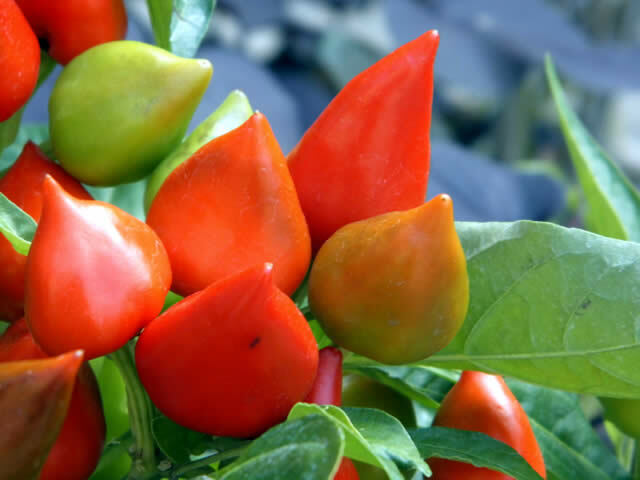 These peppers where growing outside ‘Fabrice le Chef’ food boutique in Daglan, a gorgeous shop full of excellent food to taste and buy. 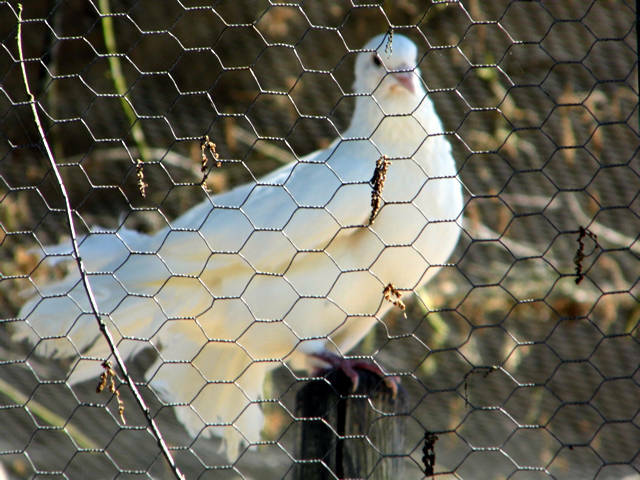 This section is on the Château, aviary and gift shop. 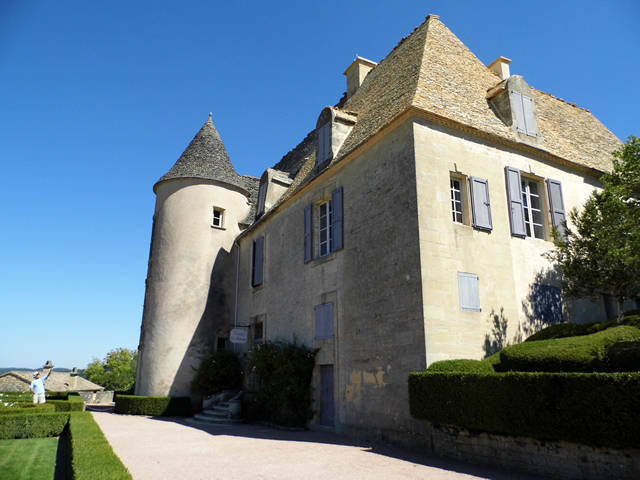 The Château was built in the 17th century by Bertrand Vernet de Marqueyssac, counsellor to Louis XIV. It has been under restoration since 1996. Although there is a great deal of work to do and much of the interior cannot be seen, the rooms available are very beautiful and so is the outside, and therefore along with everything else it is still worth a visit. 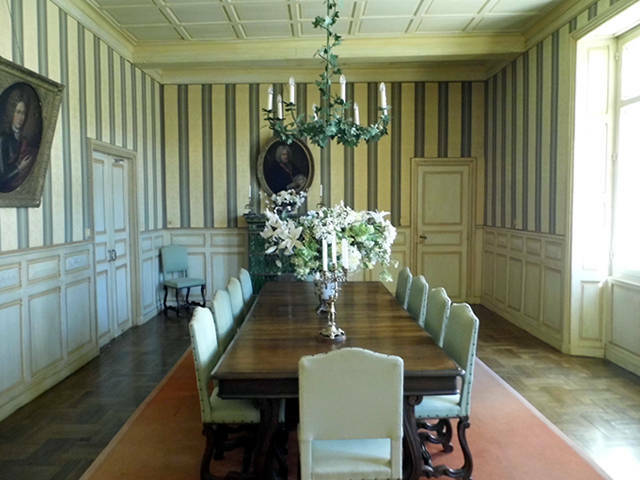 I would love this dinning room too. 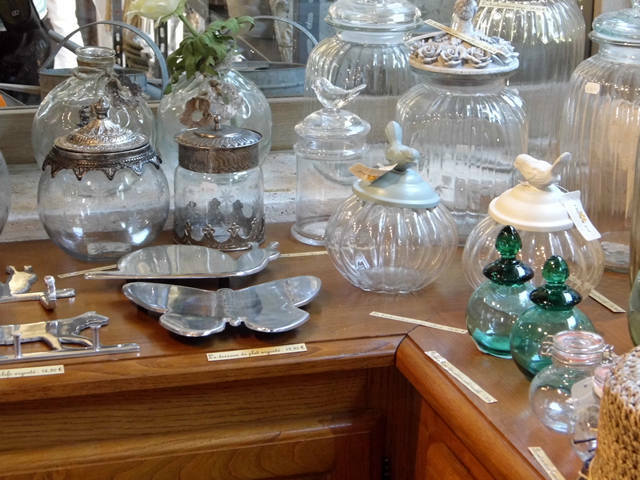 I really must return to the gift shop for one or two of these gorgeous antique style jars. On all saints Day 19th October to 3rd November 2013: there will be ‘acrobatic’ races on the cliff side, plus an arts and crafts workshop and ‘curious about nature’ wood turning. 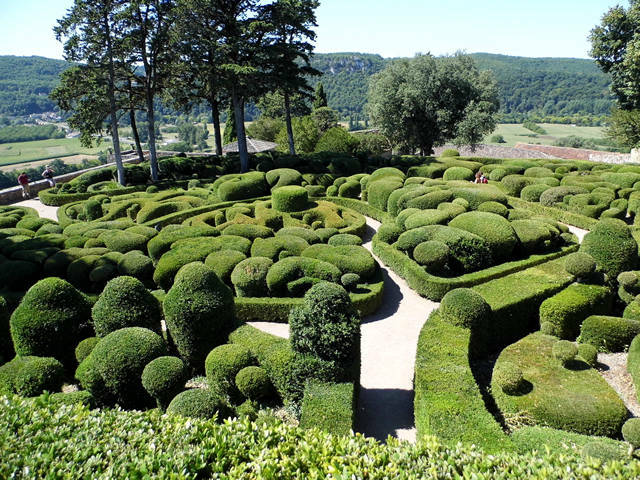 In 1860 Julien de Cervel began to plant thousands of boxwood trees and carved them (with help) into fabulous shapes, according to the Italian style at that time. However, in the second half of the twentieth century the garden and château fell into a state of disrepair. This was remedied by the new owner, Kleber Rossillon, who in 1966 began restoring the gardens and Château to their former glory. 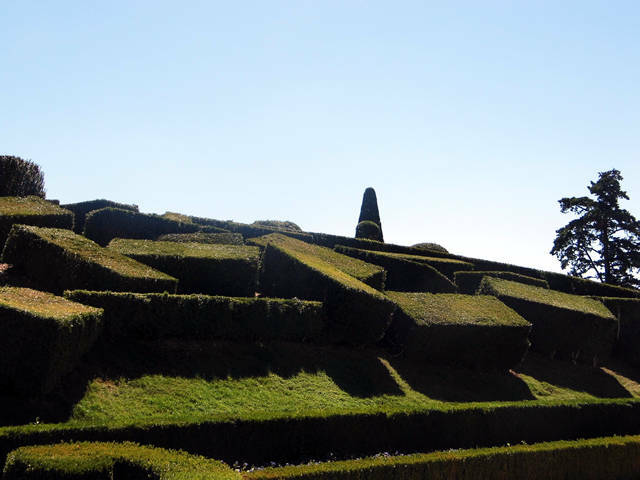 He has also added a few interesting features, the rosemary garden and the water fall from the fabulous belvedere (balcony high above the river). In 1997, the gardens were classified amongst the Notable Gardens of France by the Committee of Parks and Gardens of the French Ministry of Culture. These boxwood trees just look like they are tumbling down the side of the bank. This is one of my favourite places to visit. 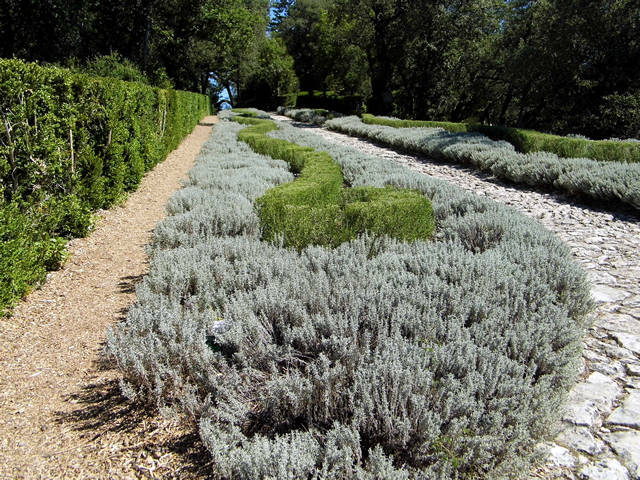 The swirling rosemary which is surrounded by lavender, the smell is wonderful. 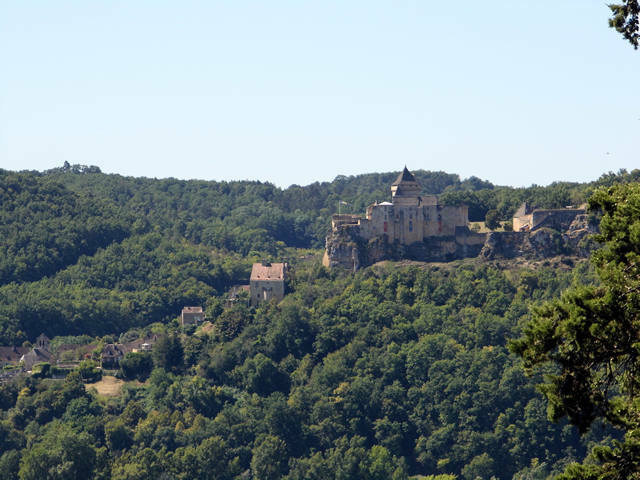 A view across the Dordogne to my favourite castle-Castlenaud. An avenue amongst the six kilometres of shaded path, the shade is very welcome on a hot day. 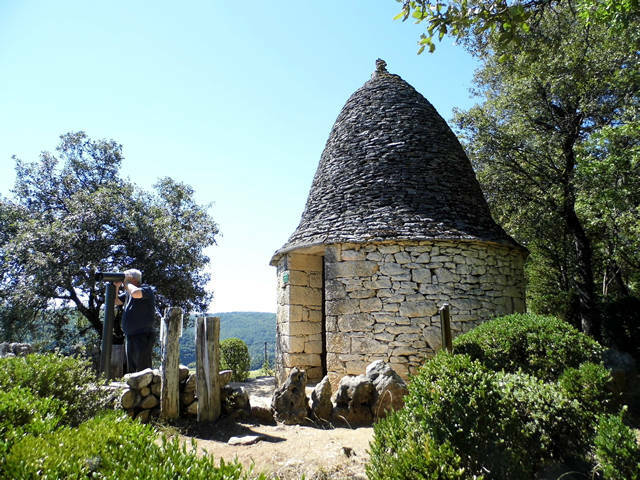 Marqeyssac is a listed site in Vézac, it is a privately owned estate with six kilometres of shaded paths bordered by 150,000 hand pruned box trees a hundred years old, which are embellished with belvederes, gorgeous waterfalls, rockeries and grassy clearings. 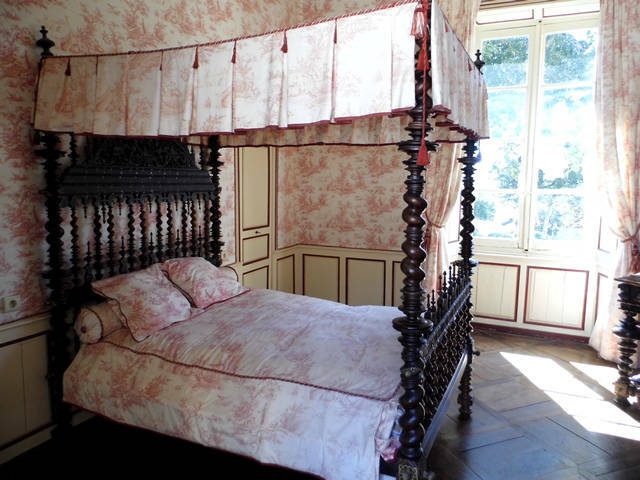 The belvedere, at 192 meters above the river gives exceptional views of the Dordogne valley. 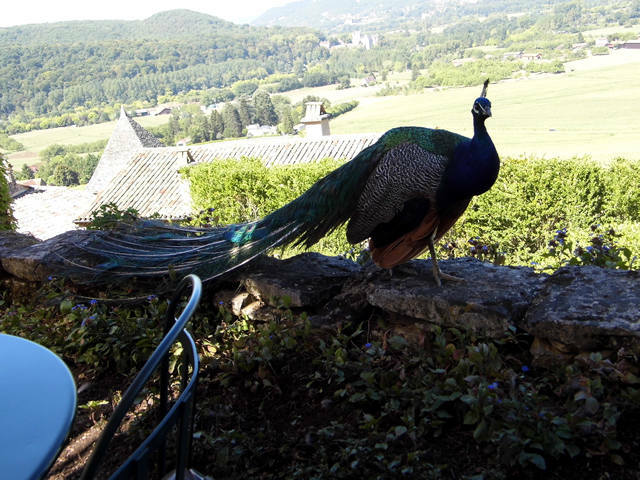 It also has an aviary, children’s area, workshops for wood turning, gift shop, a nice café with exceptional views over the Dordogne valley and in eveinings of the months of July and August candlelit walks. It is open to the public from April to November and is well worth a visit. 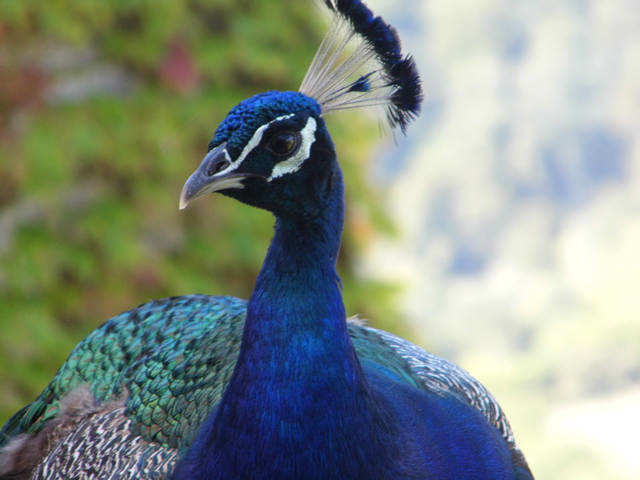 Our first trip to the gardens in 2009 was not planned but we thought after seeing the road sign to the Marqueyssac that it would be lovely to wander around the gardens for half an hour and have lunch there, take a few photographs then go on to our destination. Au contraire. 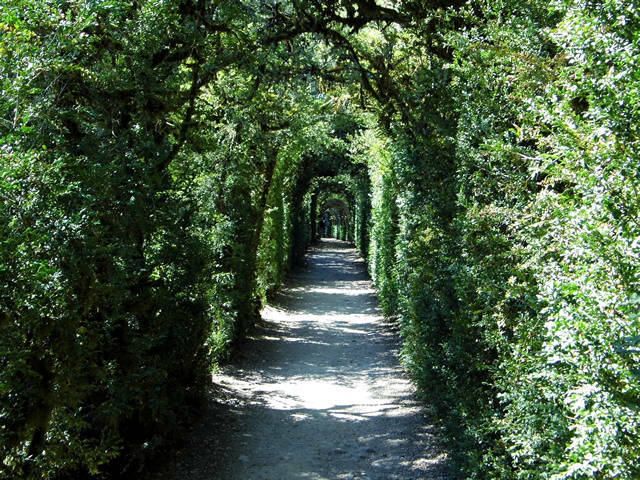 Looking at the manicured clipped hedges and the swirling rosemary garden, it was love at first sight. Miles of paths took us through fifty-four acres of forested, sculptured and flowering parkland dotted with the occasional waterfall and views to die for. 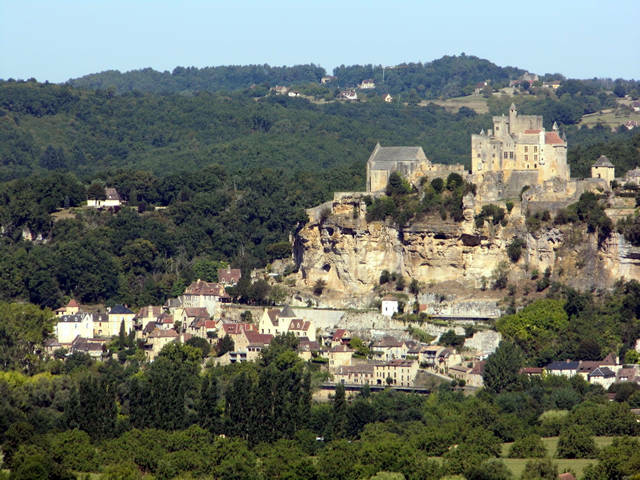 From this elevated position you can see Beynac, Château de Feynac and Château de Castlenaud at one end and the riverside village of Le Roque Gageac from the other. On our second visit we walked along the paths which led us around the estate and to the belvederes, a balcony hanging192 meters above the ground, with more exceptional views over the river. Ultimately, the paths returned to the Château and its outdoor café. 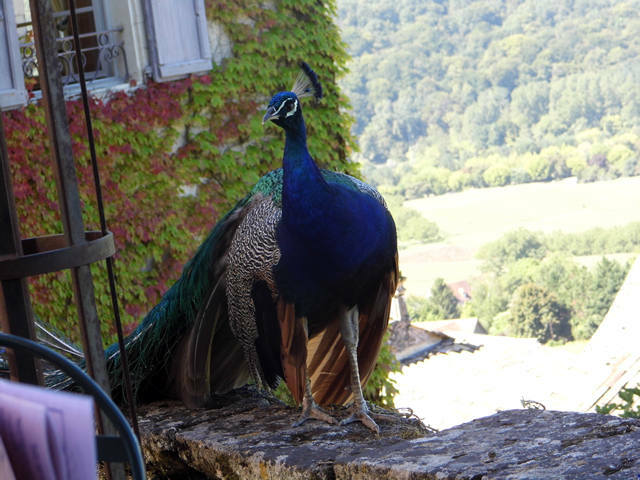 We sat at the café, facing the distant Château de Beynac and savoured the wonderful luncheon as well as the views and the peacocks who would walk up and down looking for any crumbs. So this is part one with the ‘view’ and the café, part two is the garden and three will be the Château, aviary and gift shop. 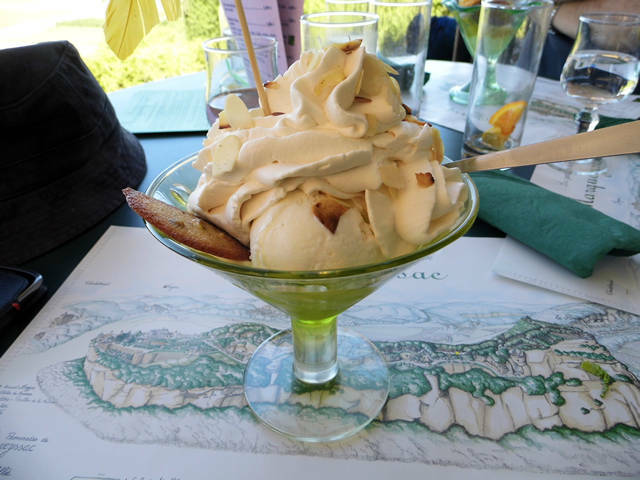 This is a picture of Adams dessert, I could just eat it now. 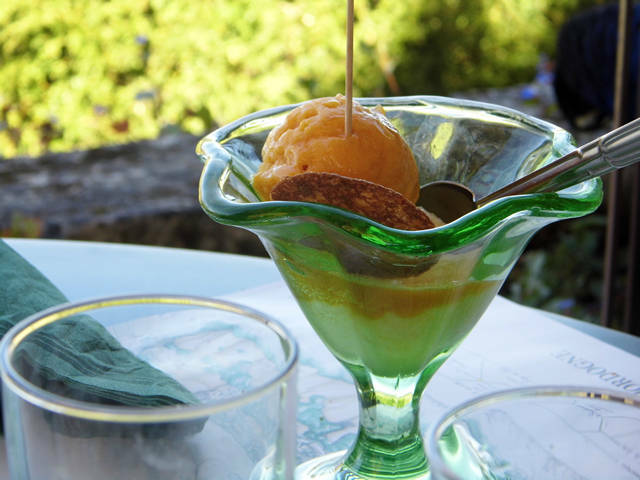 Paul’s sorbet, so refreshing on a hot day. A last look at the stunning view. A truly magical place high above the Dordogne. We must return again and again.